Making History at the Milwaukee Mile | Hupy and Abraham, S.C. 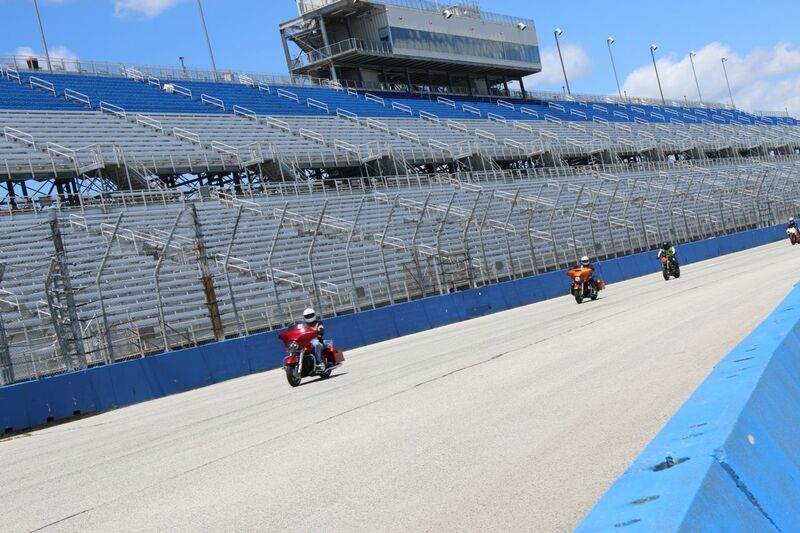 This June, for the first time in almost 30 years, the sound of motorcycles rumbled through the grandstands of the world’s second oldest operating motor speedway. Real World Speed Street Skills (RWSSS), created by Motovid.com and sponsored by Hupy and Abraham S.C., ran at the Milwaukee Mile for the first time on June 27th, and the results made history. To quote instructor Jason Herheim, “We all want to become old motorcycle riders … that’s the goal.” And, motorcycle continuing education goes hand-in-hand with that goal. In emergency situations our habits, whether good or bad, often become our automatic responses in those split seconds of reaction time. MotoVid.com’s Real World Speed Street Skills aims to re-create emergency situations in a safe and realistic setting, and train or re-train riders in how to properly handle, and avoid, an incident. 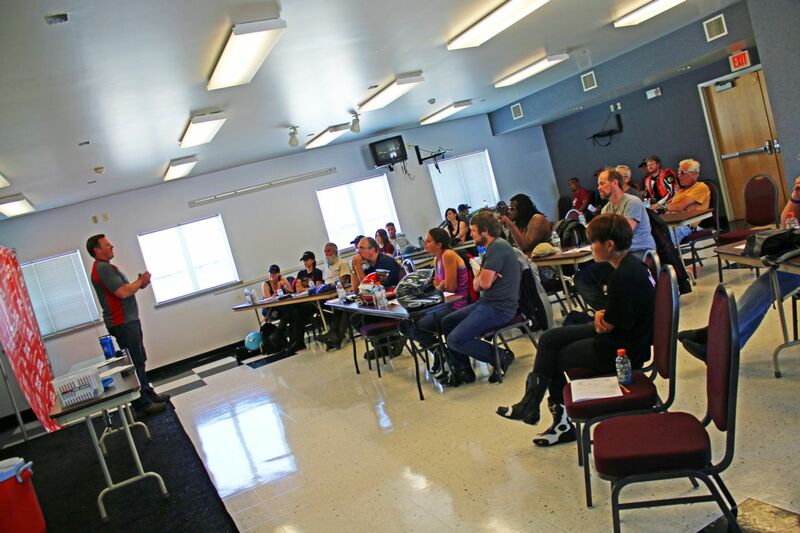 Instructor Jason Herheim teaching at the Milwaukee Mile. Photo Source: Hupy and Abraham S.C. The course itself is unlike any other. Split into five different sections of in-class and on-track tutoring, topics like panic stops, proper cornering, emergency swerves and target fixation are all taught at “real world” speeds. 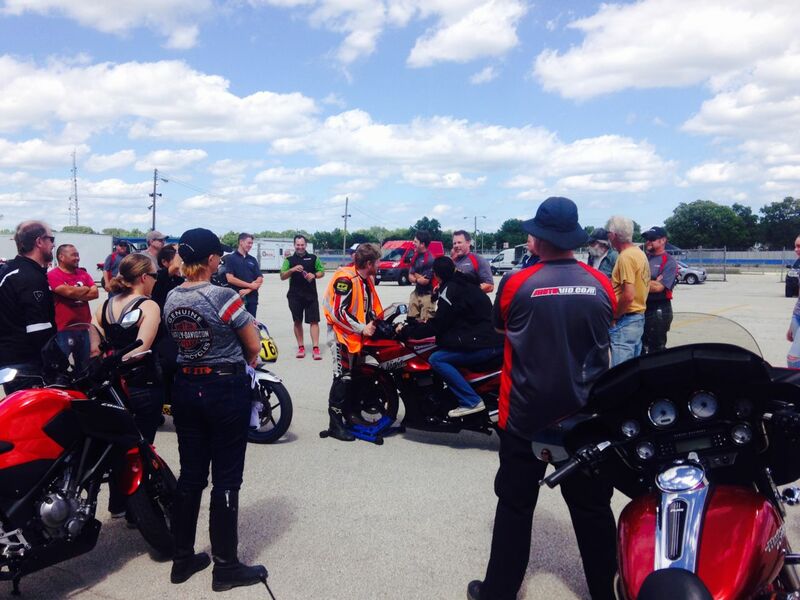 Attendees are paired with trained and certified mentors in a 3-to-1 ratio on the track. Mentors, who both lead and follow, guide the riders throughout and after each session. Students are challenged and pushed to their own personal limits in the hopes that when they leave they’re a safer, and better-equipped rider. Mentor session at the Milwaukee Mile. Photo Source: Hupy and Abraham S.C. The Milwaukee Mile was purposed as a racetrack starting in 1903, and is the second oldest operating motorsports center in the world. Originally a private horse racing arena in the late 1800s, the Mile has since hosted everything from Flat Track and the Green Bay Packers to NASCAR and IndyCar racing. The last motorcycle event hasn't been for decades due to new construction and safety concerns. However Motovid.com has changed that by both working with the Mile and raising funds to equip the course with Airfences, which they transport from track to track for their seminars and track days. Tony “Pan” Sanfelipo and I were lucky enough to ride in this class. Our classmates ranged from early teens to early 70s, were everything from veteran riders to the freshly endorsed, and rode Harleys to Hondas. We all came with something to learn or to correct bad habits. Whether we were a new rider or veteran like Tony, we all left with huge smiles, new friendships and new emergency skill sets to sharpen. 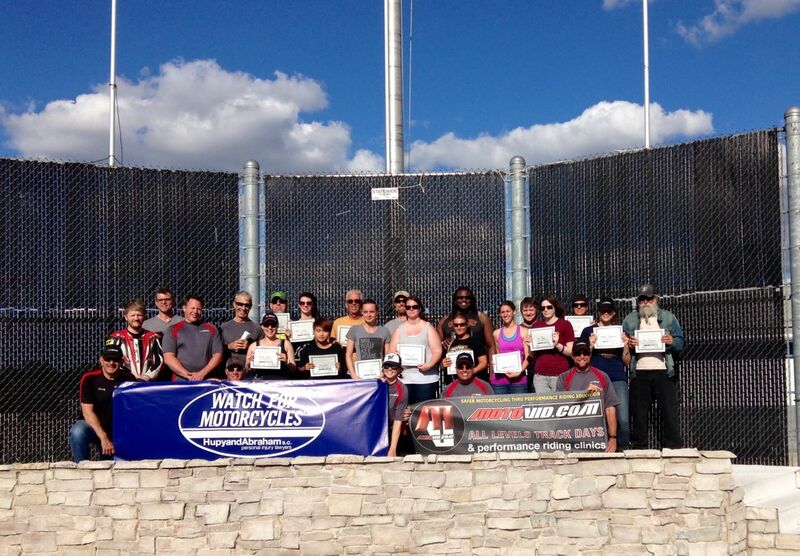 The first RWSSS Graduates at the Milwaukee Mile! Photo Source: Hupy and Abraham S.C.
Hupy and Abraham is proud to support this unique and potentially lifesaving safety course. Motorcycle safety is our goal, and all of us as riders have something to learn. Promote the motorcycle safety message by ordering your free “Watch For Motorcycles” sticker here, to see a video overview click here, and be sure to check out Motovid.com’s events and Facebook to keep up to date on the next Real World Speed Street Skills and continuing-education seminars.